These general terms and conditions for purchase and use of XLN Audio Software (these "Terms") apply to all contracts that are made between you as the customer and us as the operator of the XLN Audio webshop (www.xlnaudio.com, in the following "webshop"). By creating an account to place an order, you acknowledge these Terms as amended from time to time and shall apply to all individual orders placed in our webshop under your created account. XLN Audio AB, Årstaängsvägen 21C, 117 43 Stockholm, Sweden, registered under 556680-1444, VAT identification number: SE556680144401 (in the following "we" or "XLN Audio"). These Terms set forth the details of the contractual relationship and also contain important consumer information. When placing the order, you may view these Terms via hyperlinks in our webshop, save them on your computer and/or print them. We will send you the Terms applicable to your order once again separately together with the contract confirmation. The product presentation in our webshop does not yet constitute a binding offer for sale. The offer for conclusion of a purchase contract is made by you as the customer by clicking the button at the end of the last order page. Prior thereto, you can view and amend your order by means of the "Cart" button. After sending your order, you will receive an automated email confirming receipt of your order by us (order confirmation and confirmation of contract). The contract will be concluded in the English language. The contract documents (consisting of the order, these Terms and the confirmation of contract) will be saved by us while ensuring data privacy and will be provided to you by email. You may also view your current orders in your personal customer account. The end prices given in our webshop from time to time include statutory VAT and all other price components. VAT will not be charged if you are registered for VAT and if you present a valid VAT number to us. Subject to further information in our webshop, you may choose among various methods for payment of the purchase price, such as payment by credit card (e.g. Visa and/or MasterCard), electronic payment services (e.g. PayPal) or by other payment methods provided in our webshop. After a purchase is made we will provide the Software for download by using the online installer available in your customer account. "Software" is any software product that you purchase in our webshop. In case of distant selling transactions, consumers generally have a statutory withdrawal right as provided in the statutory withdrawal templates below. You have the right to withdraw from this contract within 14 days without giving any reason. The withdrawal period will expire after 14 days from the day of the conclusion of the contract. To exercise the right of withdrawal, you must inform us (XLN Audio AB, Årstaängsvägen 21C, 117 43 Stockholm, Sweden, email: support@xlnaudio.com, of your decision to withdraw from this contract by an unequivocal statement (e.g. a letter sent by post or email). You may use the attached model withdrawal form, but it is not obligatory. Please note that in the case of the supply of digital content which is not supplied on a tangible medium, the right of withdrawal expires if the performance has begun with the consumer's prior express consent and his acknowledgment that he thereby loses his right withdrawal. All rights, title and interest in and to the Software, including all industrial property rights, remain vested with us. This license does not transfer to you any ownership or other usage rights or any other right in the Software except for the limited license granted in this Section 6. 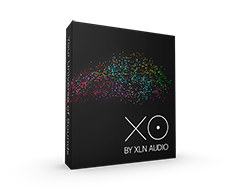 Provided that you made a purchase and subject to your compliance with these Terms, XLN Audio grants you a limited, non-exclusive, perpetual, non-sub licensable, revocable, non-transferrable license to use the Software in accordance with these Terms. You may install and run each licensed Software on up to two (2) instances of Operating Systems (each such instance a "Customer OS") whether those two Customer OS are installed and run on the same device or on two separate devices. You may delete and remove the Software from one Customer OS and install it on another Customer OS provided that at all times the total number of Customer OS on which the Software is installed and/or used does not exceed two (2). You may use the Software to create music in accordance with the Product Description ("Created Music Work"). You may share the Created Music Work with third parties (each a "Recipient") by distributing it or making it available to the public, either for a fee or free of charge, provided you ensure that any Recipient may only use the Created Music Work for its own personal and non-commercial use and shall not be allowed to reproduce, modify, prepare derivative works based upon, distribute, licence, lease, sell, resell, transfer, publicly display, publicly perform, make publicly available, transmit, stream, broadcast or otherwise exploit the Created Music Work, either in whole or in part. provide use of this software to third parties in any way including but not limited to any form of multi user configuration (such as a server computer or computer accessible and usable by any other computers). If you wish to buy our products for resale purposes, please contact us specifically. From time to time, we may, but we are not obliged to, release upgrades to the Software via the webshop. However, any upgrade is charged separately and will be available for download if you make a purchase for such upgrade in the webshop. We warrant that the Software is free from material defects at the time risk passes to you. Free from material defects means that the licensed Software performs as described in our webshop, where we specify for each Software the functions, characteristics, scope of application, purpose of use and relevant requirements as to functionality and interoperability with hardware and software ("Product Description"). If this requirement is not met, we are entitled at our discretion to remedy this defect by repairing it or by supplying defect-free licensed Software. In particular, we may remedy the defect by providing an update or upgrade for the licensed Software. The quality of the licensed Software owed is conclusively set forth in the Product Description. We bear no responsibility for the licensed Software meeting your expectations (no warranty of fitness for particular purpose) and assume no warranty of merchantability for the licensed Software. We warrant that at the time risk passes to you the licensed Software within the countries for which the Software is made available by us is free from third party rights that impair the contractually agreed use of the licensed Software in the aforementioned territories by you. If third parties assert claims against you for infringement of intellectual property rights within one of the territories listed in clause Section 7(2), we may remedy this defect at our choice by (i) acquiring the necessary rights for you so that the licensed Software no longer infringes any third-party intellectual property rights, (ii) replacing the licensed Software wholly or partly with another product with similar functionality that causes no infringement, or (iii) modifying the licensed Software in such a way that no third-party intellectual property rights are infringed while maintaining similar functionality; this can also be done by providing an update or upgrade for the Software. You are only entitled to remedy defects yourself or have third parties remedy them if we genuinely and definitively refuse to remedy the defect or take no appropriate measures to remedy the defect even after a reasonable grace period has expired. We assume no liability for quality descriptions by others, especially by customers in customer ratings published in our webshop or on other sales platforms. We will be liable for damages exclusively in accordance with Section 8 below. Your statutory right of withdrawal (see Section 5) and your rights under guarantees possibly granted separately remain unaffected. Our liability for any compensation or reimbursement of expenses of you is governed by this clause Section 8.
in case of liability under applicable product liability law or other mandatory statutory provisions. In case of a non-wilful or non-grossly negligent breach of an obligation that is material to achieving the contractual purpose and in the fulfilment of which you may normally trust (major obligation), the liability shall be limited to the contractually typical and foreseeable damage or reimbursement of expenses. Any further liability of XLN Audio shall be excluded. Except in cases of clause Section 8(1), liability for indirect damage and consequential damage is excluded, including without limitation lost profit, business interruption damage, costs of procurement from an alternate source, damage to reputation, loss of goodwill or punitive damages. The above limitation of liability also applies to personal liability of our employees, representatives and agents. Without prejudice to our responsibility for the legal compliance of the Software under these Terms, you shall: (i) before and at all times during the use of our webshop and/or Software review and comply with any applicable law, including but not limited to tax and export control law, in particular, at your own expense, obtain and maintain all necessary permits and registrations; (ii) not use our webshop and/or Software for any purpose except as expressly permitted by these Terms; and (iii) ensure that your use of the webshop and/or Software will not subject us, our Affiliates or any third party, to liability. We enable you to access your customer account in our webshop using the access credentials (e.g., logins and passwords) chosen by you. You shall: (i) carefully store your access credentials and protect them from unauthorized access; (ii) not gain access to the customer account by any means other than your access credentials or other means permitted by us; (iii) not circumvent or disclose the authentication or security of our webshop, or any host, network, or account related thereto; and (iv) not use a false identity with the purpose of misleading others or to gain unlawful or unauthorized access to our webshop or customer accounts. You shall change the passwords on a regular basis in accordance with appropriate password policies. You are entirely responsible for maintaining the confidentiality and security of your access credentials, and you are solely responsible for any and all activities that occur under your account(s) to the extent such activities have been authorized by you or have not been authorized by you but could have been prevented by you when exercising due care. You shall ensure to exit or log-off from your account at the end of each session of use. We are entitled to immediately suspend your access to the customer account, if we have reasons to believe that your use of the account does not comply with Section 9(1) Section 9(2). In addition, we are entitled to suspend your access if this is required by law, a court decision, or a request from a governmental body. We shall inform you as soon as reasonable about any suspension. We will restore access to the account if and to the extent a reason for the suspension pursuant to this Section no longer exists. We retain the right to change at any time these Terms. Changes to the Terms come into force 30 days after we have notified you of such change. If any provision of these Terms is found to be invalid by any court having competent jurisdiction, the invalidity of all or part of a provision shall not affect the validity of the remaining parts and provisions of these Terms, which shall remain in full force and effect. These Terms and the contractual relationship with you are governed by the laws of Sweden, with the exclusion of the substantive uniform law. As for the place of jurisdiction (venue), the statutory provisions shall apply for consumers. If you use the Software for commercial purposes, the following shall apply: The parties shall endeavour to settle any dispute, controversy or claim arising out of these Terms by good faith negotiations. Should the negotiations fail, the dispute shall be finally determined through arbitration in accordance with the Rules for Simplified Arbitration Procedure of the Stockholm Chamber of Commerce. The arbitration shall take place in Stockholm, Sweden and the award shall be confidential.